how to set your sights and be an example of good in the world. Amazing. CONGRATULATIONS, KTF!! You're proof positive that even in the midst of tragedy, we never know where the ripples will travel to reach good. Thank you Nut, CBB, Kermit, and BillB. It is nice to know that we are all still here, so many years later. 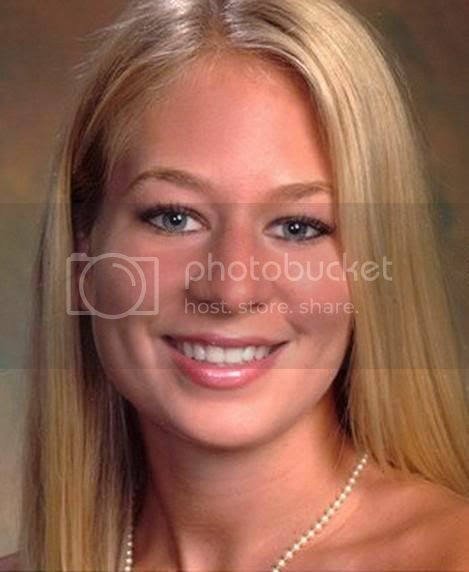 It is a testament, not only to the fortitude of us Monkey's, but the impact Natalee Holloway has on us till this day! You're welcome KTF. I look forward to seeing more of your posts & updates. Hey back at you MuffyBee. Great to hear from you!! Not a lot to talk about lately ..... but we are still here!! Concur wreck.....everyone here past and present came here for Justice for Natalee and although our goals didn't get what most of us wanted so bad.....friendships and bonds were formed with like minded folks (some of us so bold-headed that we fought even though we agreed).. I would never forget to save a spot for our green friend, Kermit! Ribbit!! Kermit, this is just hilarious! I got a good laugh this morning out of this. You are so creative. KTF, I am so proud for you. You have done good and will do even more good as time rolls on. Congratulations. Billb, so good to see you around again. And, YES, we are still here for Natalee and Beth. And bill is back in the saddle again. Make sure there's room in that dingy for a Boop!! Yep.......... we're all here, just waiting for a day that somehow we all know will come, even if we don't know exactly what that day will hold. We are here for Natalee and Beth. Hey, Kermit. Good to see you also. 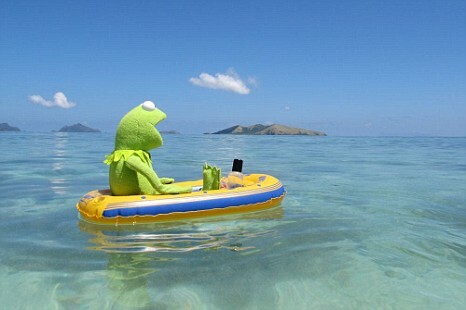 No sun screen Kermit? what are you thinking? KTF, congratulations for perservering in your education goal and much success in the future! Billb, good to see you back. Keep posting and sharing your supportive posts for Natalee! Keeping hope alive for Justice for Natalee...and Stephany!